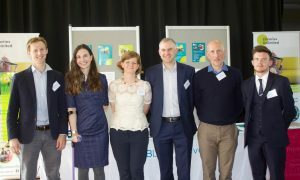 Leaders from a diverse range of sectors came together at “Leading practice in unlimited value creation”, an Action Research Summit at the University of Exeter last week, to discuss how library services and other social enterprises and charities can better understand their social impact, and use it to ensure financial sustainability. The summit was hosted by the University of Exeter Business School as part of the two-year “Unlimited Value” research project led by the University of Exeter in partnership with Libraries Unlimited, Open Data Institute (ODI) Devon and the Real Ideas Organisation (RIO), and funded by Arts Council England. This was the first in a series of events that aim to better measure and understand the impact of libraries on their local communities. In doing so, it is hoped that Libraries Unlimited will be able to identify new partnerships and opportunities that will help to ensure its sustainability. The summit brought together academics, policy makers and senior practitioners from a diverse range of backgrounds, with speakers including Deputy Vice Chancellor Professor Tim Quine, Professor William Harvey, Co-Director of the Exeter Centre for Leadership, Jennifer Wallace, Head of Policy at Carnegie UK Trust, Dr Beverley Hawkins, Senior Lecturer in Leadership/Organisation Studies and Director of Education at the University of Exeter, Matt Little, Co-founder and Head of Impact and Research at RIO and John Knell, Director of Culture Counts. Guests also heard from Libraries Unlimited Chief Executive Ciara Eastell and a number of Libraries Unlimited employees who have been involved in Action Learning Sets as part of the research project. The Action Learning Sets are designed to encourage staff to explore and learn from their own work challenges, develop leadership skills and use their ideas and experiences to help shape the future of the organisation. During the day, delegates discussed the challenges and opportunities faced by charities, social enterprises and cultural organisations to diversify and innovate their services to meet the needs of communities, whilst remaining financially sustainable. Round table discussions saw colleagues from the Citizens Advice Bureau, Libraries Taskforce, Mutual Ventures, Gloucestershire County Council, Exeter CVS, the Wellcome Trust, the British Library and the Royal Society of Arts openly discuss the challenges faced by those going through organisational changes and how they can understand, grow and showcase the value they create within their communities. 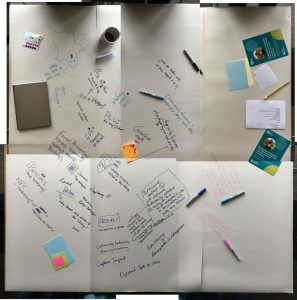 Ciara Eastell, Chief Executive of Libraries Unlimited, the charity responsible for running Devon’s public library service, said: “Our first Unlimited Value Action Research Summit was a really stimulating day. “By bringing together such a diverse range of people it opened up a new kind of conversation and provoked valuable debate. She continued: “Over the past few years, the library sector has had to adapt significantly, not least because of the changing needs of the communities we serve, but also because of the changing political and economic landscape. “These factors affect a range of organisations, and this research will consider the ways that we and other organisations can continue to deliver valuable work, whilst ensuring we have reliable sources of funding. “I firmly believe that libraries have an important role to play within communities, and am excited to be part of a project that will help shape the future of our service. Research by Carnegie UK Trust shows that half of all people in each jurisdiction use their library and three quarters of people think that libraries are important community assets. Dr Beverley Hawkins, Lead Researcher for Value Unlimited, explained: “The research summit is a great example of how business schools can work in partnership with organisations to develop innovative practices and shape conversations. 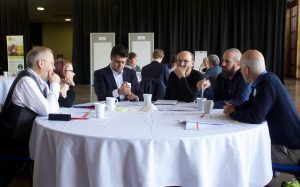 “Our summit has helped create a network of engaged thought leaders keen to shape policy and practice on how organisations might capture and evaluate their social impacts. Matt Little, Co-founder of RIO, said: “RIO are one of the leading social enterprises in the South West and it is a real pleasure to be working on this research project with Libraries Unlimited and the university. “We are all learning a lot from each other and we want this research to make a real impact. These are difficult and challenging times and against this backdrop libraries play such a crucial role in people’s lives and in communities. Phil Gibby, Director, South West, Arts Council England, said: “We are proud to support Libraries Unlimited through our strategic funding streams and from April 2018 we will welcome them into our regularly funded body of National Portfolio Organisations. At the heart of the research is a programme that will build the capacity of Libraries Unlimited’s staff to support and develop the potential for libraries to bring people together, offer services that make a difference to communities, and play a role in improving the quality of life and opportunities available to people, all whilst ensuring the financial imperative for the organisation is sustained. Over the next few months, the project team will work together to analyse feedback and contributions whilst also undertaking research-led teaching projects embedded within curriculum to analyse Libraries Unlimited’s data and information to better understand user trends and behaviours. As a result, the project team hope to establish new business models and best practice for socially enterprising organisations, helping to demonstrate how the arts and culture sector can make a real difference in people’s lives whilst also operating financially sustainable organisations. In so doing, it is hoped that Libraries Unlimited will be able to create new partnerships and opportunities that will help to ensure its sustainability as a charity and social enterprise. For more information about the project visit http://blogs.exeter.ac.uk/unlimitedvalue/ and follow the conversation on Twitter #UnlimitedValue. A two-year research project to understand the impact of libraries on local communities in Devon has been awarded a £200,000 grant from Arts Council England (ACE).